Summer Season is almost there. It is time to learn about Pool Opening, Mustard Algea and Salt requirement. Katy and Westside Pools is focused on providing high-quality service and customer satisfaction - we will do everything professionally to meet your expectations. 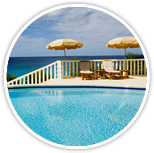 We have 4 different packages for Pool service to make it Affordable for you starting from 100$/ month. 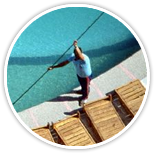 We are a team of dedicated Pool Professionals providing our services to the areas of Houston and Katy for the last 15 years. Hundreds of Satisfied customers speak volume of our competent professional work. We have a combined experience of over 50 years. 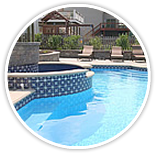 you can trust in our abilities for all your pool needs. 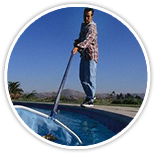 Katy and Westside Pool company has a 15 years long History of providing Pool related services to hundreds of Satisfied customers around the Cities of Katy and Houston. We pride ourself in Customer satisfaction by providing quality service at the best rates. If you have any Pool problem,or you want to get First or Second estimate GIVE US A CALL AND FORGET ABOUT IT ALL. We look forward tp provide efficent and prompt service to your satisfaction. Check PH, Stabilizer,Ca Hardness and Alkalinity. Mustard Algeacide and Stain & Scale Loading Doses. Clean the Salt Generator cells cells. Put loading quantity of Salt in the pool. 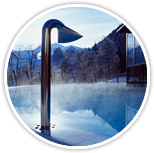 Look for signs of Matel stains and Pool etching. Adjust the Time Clock For Pool Circulation hours. © 2019 Katy & Westside Pools Online. All Rights Reserved.